Podcast, News, Star Wars, B.C.A. On this episode of BCA, Thor and Chris bring you the latest news, before Jo hosts a trivia contest between the two about Return of the Jedi. In this episode of BCA the boys lay down a commentary track for Return Of The Jed for the 35th anniversary. This episode is one of three specials that they will be recording this month. In this episode of BCA Thor and Chris talk about all the news in Star Wars. They talk about flash back Luke, new John Williams music, and a new Star Wars cartoon. They also dive into the two latest Resistance episodes, and much, much more. This week the boys talk about the new upcoming Cassian Andor television! They also discuss The Mandalorian, Star Wars: Galaxy’s Edge news, the latest episode of Resistance, and much more! On this episode of BCA, the boys talk about some Mandalorian news, the state of the Boba Fest movie, and much, much more. They also take the temperature of the lastest episode of Resistance. On this episode of BCA, we discuss the new animated Star Wars show: Resistance, we also talk about the Mandalorian. In our main discussion, Thor dives deep into the show that never was. He gives all the details on, Star Wars Detours. Thor and Chris are back, and are tackling a huge week of news, in this episode of BCA. They discuss the passing of Gary Kurtz, and what the producer meant to Star Wars. They talk about, Bob Iger taking the blame for Solo, and Kathleen Kennedy's three year extension. They discuss all the news and rumors, around The Mandalorian tv show, and much, much, more. 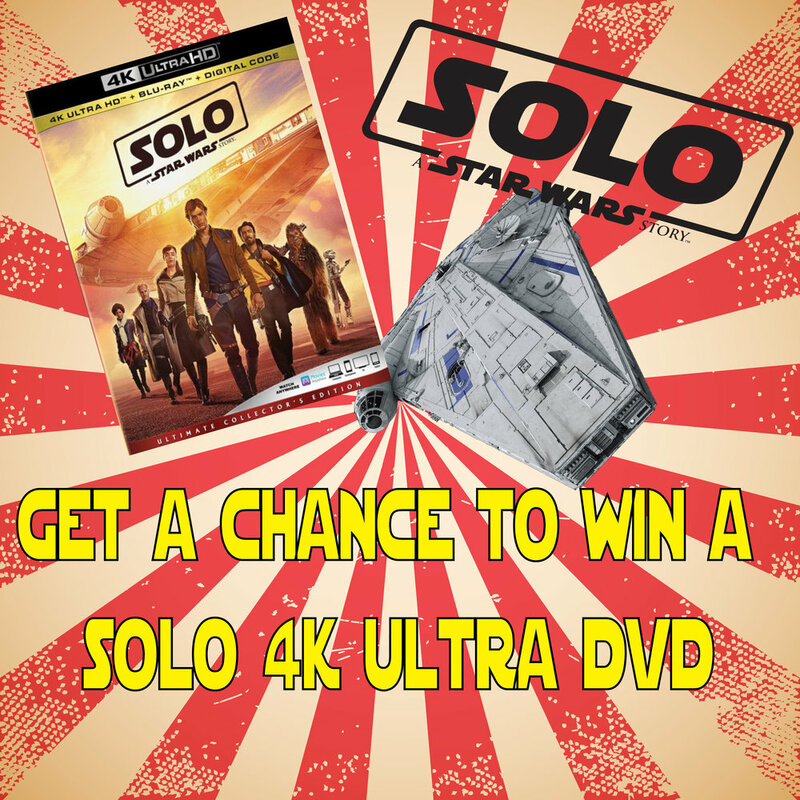 The main discussion is all about the Solo blu-ray bonus features. B.C.A. Ep 40: Where's Chewie? In this episode of BCA we cover the new Battlefront update. Its a small patch to get everyone ready for more Clone Wars. We have Episode IX casting news, is there a Dr. in the house. Billy Dee is getting into fighting shape! Also what is going on with Chewbacca? All this and more. In this episode of BCA Thor and Chris talk about their Star Wars adventure. We discuss the Resistance trailer, the new making of Solo book, and episode 9 rumors. We also dive into the confirmation by Neil Lamont that a Tatooine spinoff movie was put on hold. B.C.A. Ep 37: The Clone Wars Return! In this episode of BCA, we talk about all the news that came from Comic Con. We dive into the return of The Clone Wars. We talk toys, books, and list the details of the Solo home release. In this episode, Thor talks more Star Wars news. We also breakdown Solo using the Official Guide for information. We talk so news upfront and diver into a spoiler review of Solo. There will be spoilers. Spoiler Alert!!! Did I mention spoilers? Our friend Brian joins us to discuss all things Star Wars. We breakdown a couple of interviews with Kevin Feige and Ron Howard. Ron Howard also does a special narration of A New Hope, and much, much more. Jo could not be with us today. Thor and I give you the latest Star Wars news, and breakdown key points of the Solo trailer. The Empire had other ideas and sent a mouse droid to bother us. Listen to the music at the end of the episode for a little Easter egg! In this HoloNet Special we discuss the last trailer of Solo: A Star Wars Story. In this episode of BCA, we talk about an unnamed actor who gave their account of what happened on the set of Solo. We dive into Denny's Solo commercial. We also talk about Mark Hamill, John Boyega, and EA's new Star Wars game. Our main topic is the future of Rey's training. In this episode Thor talks about the behind the scene features, from The Last Jedi. Chris gives the status of the new Hasbro project, The Sail Barge. They also discuss season two of Forces Of Destiny, and the canon connection of the new Thrawn book. The boys find artwork from a canceled Battlefront 4 video game.